Sometimes I think organizational change agents are so focused on figuring out how to facilitate change in others that we forget that our best opportunity to understand how others change is to learn from our own experiences. With that in mind, I invite you to participate in a challenge that I expect will both increase your learning about change and also result in change itself. Implement a change in yourself. The change you take on might be an attitude, a habit, lifestyle, or anything else. Perhaps you have a New Year’s resolution that you’ve long since broken, or something else you know you need to do but haven’t done. The impetus for this idea was a not-so-perfect dentist appointment two weeks ago. I decided I needed to start flossing and found myself journaling about it as I started thinking about how to best influence my own behavior. 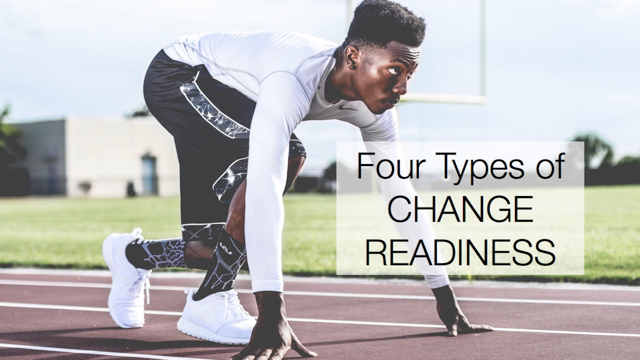 It turns out there is a lot to consider about change even when trying to implement a seemingly small change in what might seem like the easiest subject: myself. For the rest of the week I’ll post what I’ve learned in the last couple of weeks as I try to make a regular habit of flossing. I hope you’ll take me up on The Change Agent Challenge and share what you learn. Please start by sharing your challenge in the comments below. If you’re a blogger and will be sharing your own results on your blog, please link back to this post and I’ll be happy to add a link to yours. my challenge is: becoming less independent towards technology (i.e. computer, car etc. ), the meaning of life is becoming so much greater than technology means! Guido, thank you for sharing! I hope you’ll keep us informed of your efforts and what you learn along the way (even though doing so would require that you use technology! ).